You can still lose weight during the holidays! Many of us have thrown our weight loss plans out the window in December. You don’t have to give up. In the next 8 days you could lose 2 pounds, feel less bloated, and have a lower stress level. Weight loss tip: Eat a teaspoon of ground flaxseed before dinner (or any meal where you might overeat). 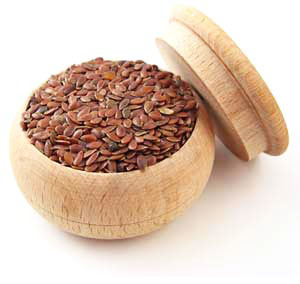 Flaxseed is a natural appetite suppressant which should be taken in moderation because it has a mild laxative affect. Before a party I take a tsp of flaxseed and then chase it with a large glass of water. The flax fills me up, gives me a good dose of fiber and heart healthy fat. My favorite flaxseed is Premium Gold Organic, which you can find at Costco (in the Pacific Northwest). Otherwise, try Spectrum Ground Flax in other stores.